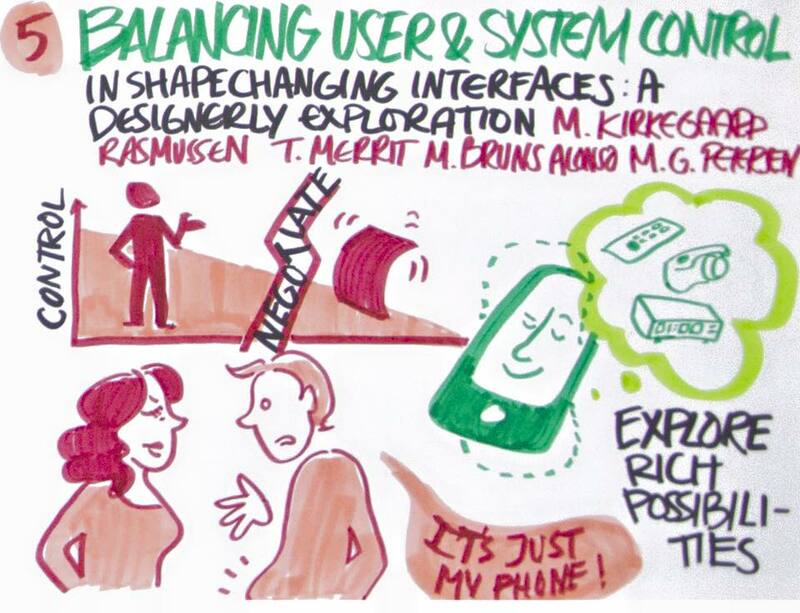 Balancing User and System Control in Shape-Changing Interfaces – ixd! When mobile phones can change shape, how should we control them? This framework describes four different types of control, seen from the perspective of the user. In this work, we propose a framework for sharing control of shape change events. The framework considers whether the shape change is: 1) directly controlled by the user’s explicit interactions; 2) negotiated with the user; 3) indirectly controlled by the users actions; 4) fully controlled by the system. The four types are described through design examples using ReFlex, a shape-changing interface in the form of a smartphone. The paper concludes that shape-changing interfaces tend to assign the control to either the user or the underlying system, while few (e.g. [16,28]) consider sharing the control between the user and the system. 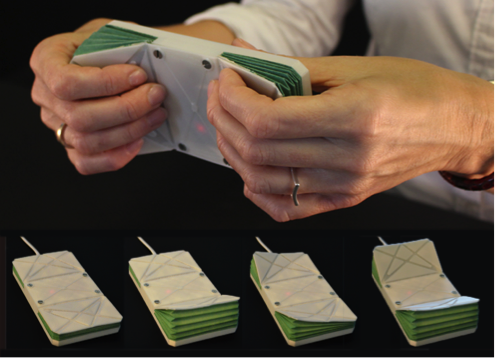 How should we control a shape-changing mobile phone? Despite an increasing number of examples of shape-changing interfaces, the relation between users’ actions and product movements has not gained a great deal of attention, nor been very well articulated. This paper presents a framework articulating the level of control offered to the user over the shape change. This work is authored by Majken Kirkegaard Rasmussen, Timothy Merritt, Miguel Bruns Alonso, Marianne Graves Petersen and was presented at the TEI2016 conference in Eindhoven, Netherlands.